Whenever we barbecue, and I have an extra 15 minutes, I add these to the menu. They taste great and aren’t that difficult. If you are having guests just make a couple of sacks of them and you are good to go! 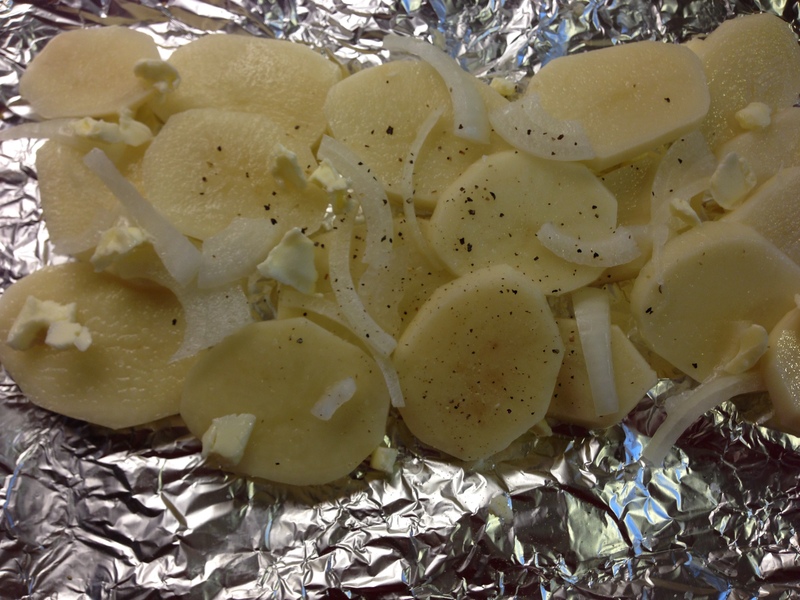 Peel and clean your potatoes (or if you want a bit more nutrition than just clean them and keep on the skins) and slice them into thin discs that are thicker than a potato chip, maybe ¼” or so. Peel and clean the onion and cut it first in half the long way and then put each half flat side down and slice ½” slices letting the layers fall apart. 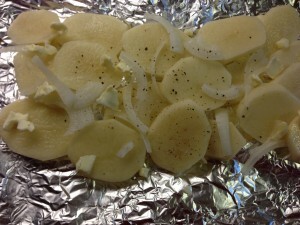 Place the potatoes in one bowl and the onion pieces in another and have your stick of butter, salt and pepper handy. Dabs of butter all over the area where the potatoes will be placed. Tip: If you still have leftover potatoes make a second pouch. If you only have 2 layers of potatoes they will brown well. 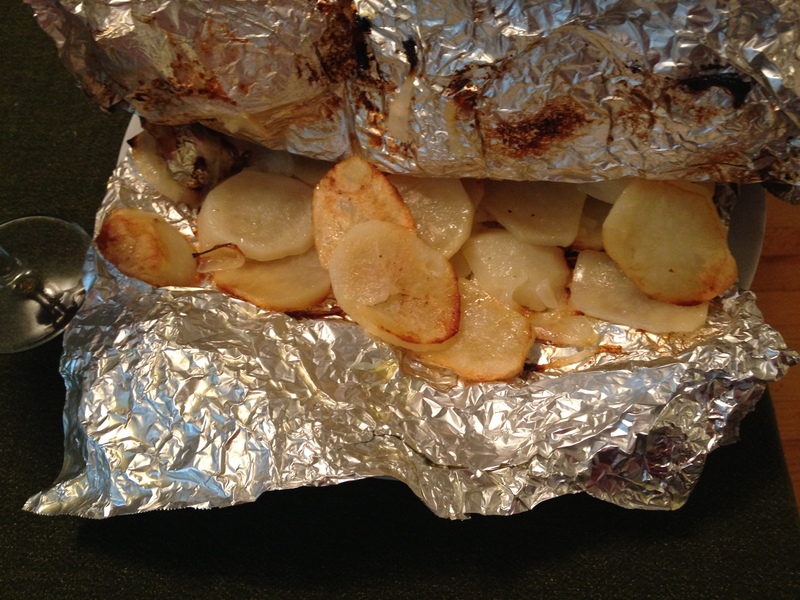 Fold the foil over the potatoes and seal the 3 sides tightly so nothing will escape. Cook on a preheated charcoal or gas grill about 15-20 minutes per side and then check if they have browned. If using a gas grill on medium, it will take at least 20 minutes per side. Finished potatoes should be tender. Not all of them will brown, but most of them should be browned before you consider them done. I can’t tell you how delicious these are, you’ll just have to try for yourself!